If you want to have a great holidays, you already purchased Netflix subscription. But what to do if you are going to celebrate abroad? Or you just want to access more movies and TV shows, which are only available on American Netflix? Fear not, we got you covered! 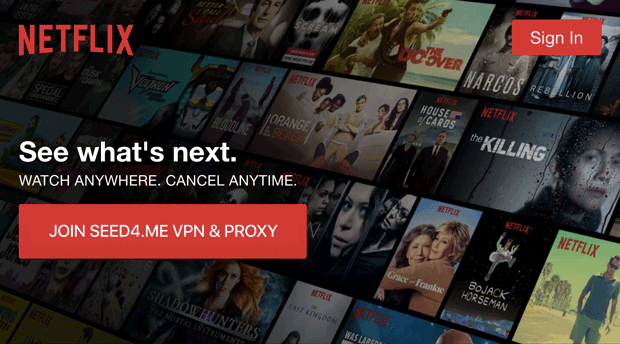 With Seed4.Me VPN you can can watch US Netflix abroad! Though, let’s focus on more painful question: WHAT TO WATCH? The choosing part is the most time-consuming and it is also difficult to get one that fits your mood, or something you and your friend/spouse can agree on. Let us help you here as well, we have prepared a list of great films currently available on US Netflix, so scroll down and pick one by one. Enjoy! The first of Disney’s planned anthology films, Rogue One: A Star Wars Storytravels back to a time between the original trilogy and the much-maligned prequel trilogy to tell a tale of rebellion. Nestled between the rise of the Empire as we know it and the improbable destruction of their space-based super-weapon is this contained story about a group of anti-heroes and their risky mission to obtain the Death Star blueprints. It’s this key piece of information that allows the rebellion to not only kick off in earnest but to thrive for generations. Directors: Jules Bass, Arthur Rankin, Jr.
Want more movies and TV shows? Click HERE for more lists like this one.